Title: Princeton / Bristow Adams. Date Created/Published: Washington, D.C. : Andrew B. Graham, c1903. Medium: 1 photomechanical print (poster) : photolithograph, color. 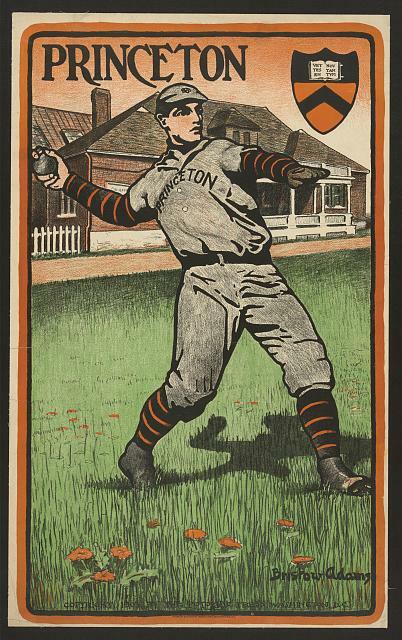 Summary: Print shows a Princeton baseball player, full-length, standing on field, about to throw a baseball. Signed on stone "Bristow Adams" in lower right. Copyright, 1903, by the Potomac Press, Washington, D.C.